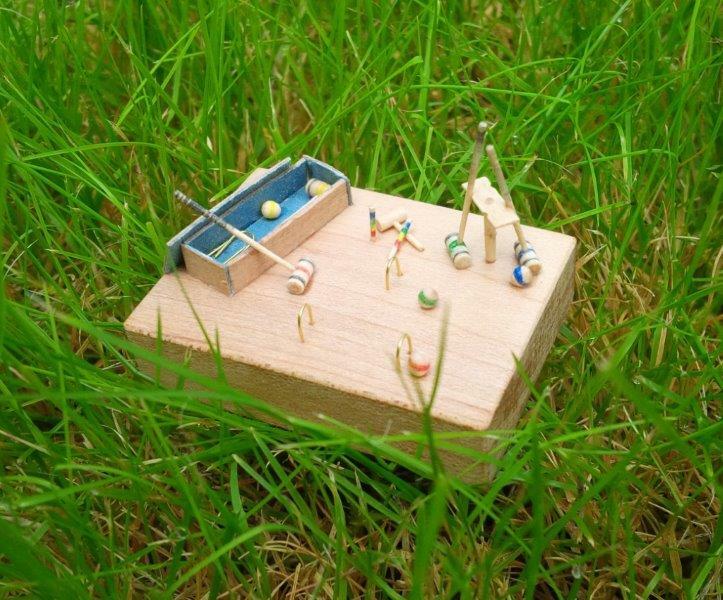 Summer’s drawing to a close, but on days like today, there’s still time for a game of croquet. Are you up for a game? You’ll need to bring nimble fingers, as these mallets are thinner than a blade of grass, and a good aim, as the hoops are about as big as a grass seed. Hand-turned at quarter scale (1:48) in birch, with a cherry box on a maple base 3×4 cm (1.25″ x 1.5″).